Here is how I came to own the ‘Pink Dragon’: I bought both Hoya pubicalyx Black Dragon and White Dragon together back in the late summer of 2010. They came from Joni at SRQ Hoyas who imported them from George Mendoza of Forest Treasures in the Philippines. Black Dragon bloomed the first year, “White Dragon” has just bloomed. As you can see from the photo below, it is not white; it is pink. I have both original name tags that came with the plant saying White Dragon. 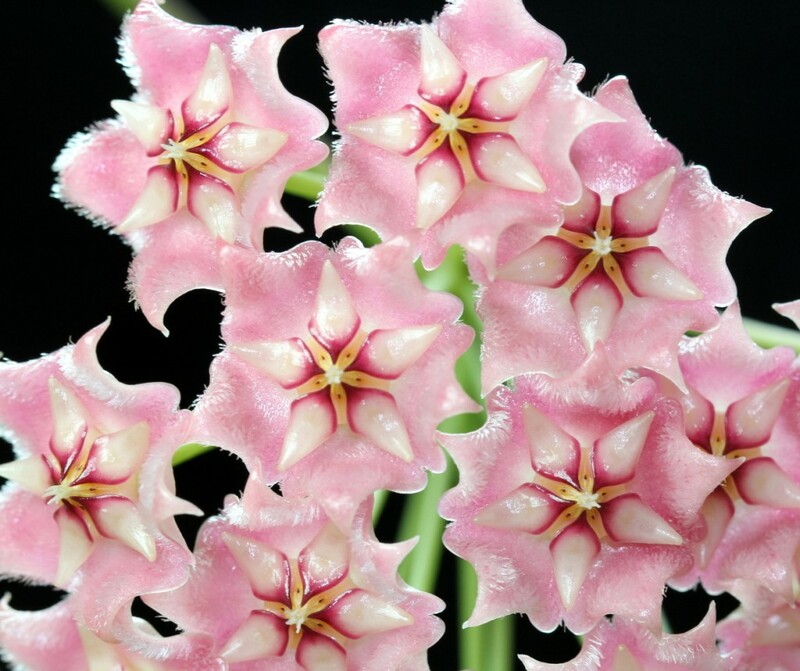 I now believe that George must have made a mistake and sent Hoya pubicalyx ‘Pink Dragon’ GKMP-8008C. Am I disappointed – Only a little. I have to say that the flower, of which I will have many more photos up on the site in the next week or so, is quite beautiful! It is a very delicate pink with a pearl like sheen to the flower that is absolutely striking. 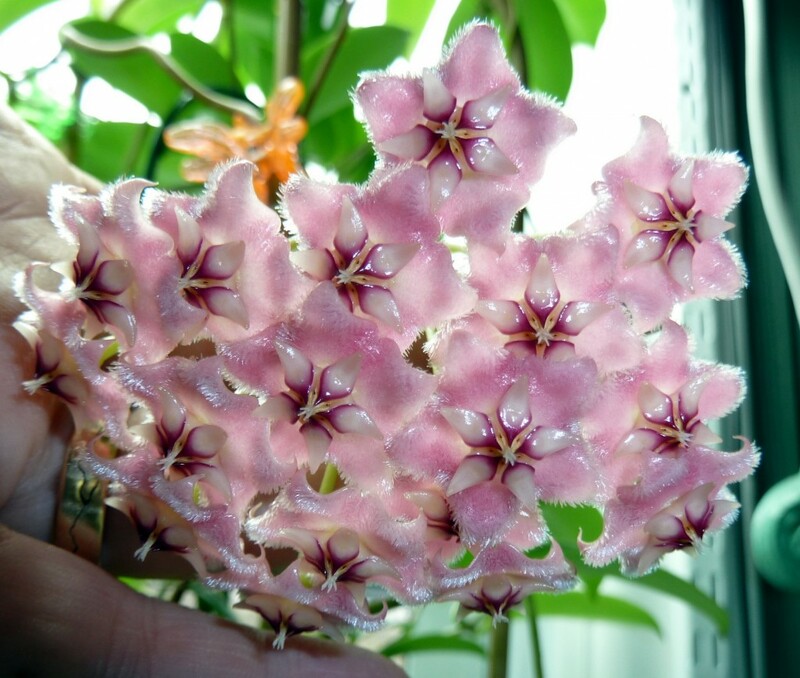 This Hoya continues to impress, and would be an outstanding addition to any collection!